In addition to many concurrent sessions, the 2019 ASLE Conference will feature a variety of plenary speakers, social events, field trips, and workshops. Please explore the events below by clicking on the plus button to open that section. This conference schedule has significant changes from past years, so please read carefully. Any changes will be posted here as they are confirmed. 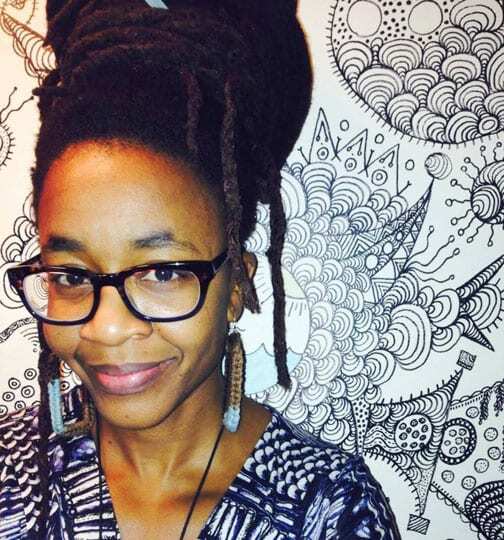 Nnedi Okorafor (June 26) is an international award-winning novelist of African-based science fiction, fantasy and magical realism for both children and adults. 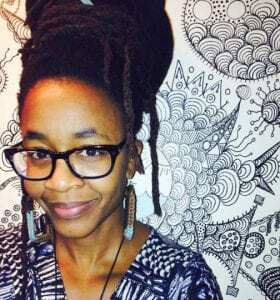 Born in the United States to two Nigerian immigrant parents, Nnedi is known for weaving African culture into creative evocative settings and memorable characters. She’s currently the author of the Black Panther comics from Marvel Comics. The movie spin-off is now a world-wide sensation! Her other comics include Antar: the Black Knight (IDW/Mirage Films), LaGuardia, as well as launching Marvel’s latest series Wakanda Forever. Author George R.R. Martin (Game of Thrones) and HBO are turning Nnedi’s adult novel, Who Fears Death, into a TV series. The Book of Phoenix (prequel to Who Fears Death) was heralded by the NY Times as a “triumph”. Okorafor is a NY Times bestselling author, and her many literary awards include a Nebula and Hugo Award. She has a passionate YA following for her Binti series, and the Akata Witch books. Her children’s book Chicken in the Kitchen won an Africana Book Award. Akata Witch 2: Akata Warrior, and Binti 2: Home, are now out in paperback. She holds a PhD in English. Melissa K. Nelson (June 27), Ph.D. is an Anishinaabe ecologist, writer, and Indigenous scholar-activist. She is a professor of American Indian Studies at San Francisco State University and president of the Cultural Conservancy, a Native-led Indigenous rights organization, which she has directed since 1993. Her work is dedicated to indigenous rights and revitalization, Native science and biocultural diversity, ecological ethics and sustainability, and the renewal and celebration of community health and cultural arts. A transdisciplinary scholar, Melissa is the editor of and contributor to two books Original Instructions – Indigenous Teachings For A Sustainable Future (2008), and Traditional Ecological Knowledge: Learning from Indigenous Practices for Environmental Sustainability (2018). Melissa has been involved with the Indigenous food sovereignty movement for over 20 years. 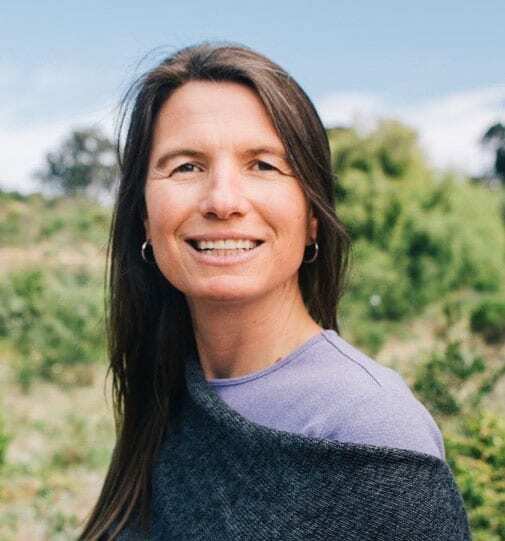 She co-manages an Organic Farm at the College of Marin and is a co-founder of the Slow Food Turtle Island Association. She is also a producer and host of the Native Seed Pod (www.nativeseedpod.org), a new podcast series focused on Indigenous food systems and native seeds. Additionally, Melissa has produced and directed a number of documentary short films focused on cultural revitalization, youth, and Native land/environmental issues. Melissa is a Switzer Fellow and Environmental Leadership Award recipient and has received awards for teaching, experiential education, documentary filmmaking, environmental stewardship, and social justice. She has presented her work throughout North America and in Italy, the Netherlands, Norway, Sweden, the Philippines, Australia, Peru, and New Zealand. She is Anishinaabe/Métis/Norwegian and an enrolled member of the Turtle Mountain Band of Chippewa Indians. Ursula Heise (June 28) is the Marcia H. Howard Chair in Literary Studies at the Department of English and the Institute of the Environment and Sustainability at UCLA. She is a 2011 Guggenheim Fellow and former President of ASLE. Her research and teaching focus on contemporary literature and the environmental humanities; environmental literature, arts, and cultures in the Americas, Western Europe, and Japan; literature and science; science fiction; and narrative theory. Her books include Chronoschisms: Time, Narrative, and Postmodernism (Cambridge University Press, 1997), Sense of Place and Sense of Planet: The Environmental Imagination of the Global (Oxford University Press, 2008), and Imagining Extinction: The Cultural Meanings of Endangered Species (University of Chicago Press, 2016), which won the 2017 book prize of the British Society for Literature and Science. 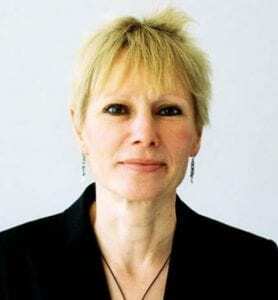 She is editor of the series Natures, Cultures, and the Environment with Palgrave, and co-editor of the series Literature and Contemporary Thought with Routledge. She is co-editor of the Routledge Companion to the Environmental Humanities (Routledge, 2017) and Managing Editor of Futures of Comparative Literature: The ACLA Report on the State of the Discipline (Routledge, 2017). She is also a co-founder of UCLA’s Lab for Environmental Narrative Strategies (LENS) and producer and writer of the documentary Urban Ark Los Angeles. 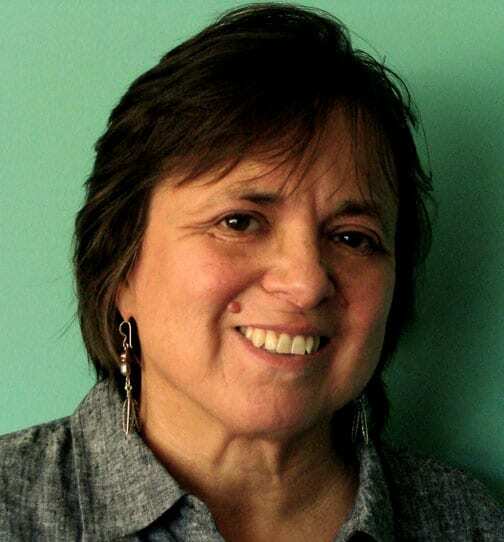 Cherríe Moraga (June 29) is an internationally recognized poet, essayist and playwright whose professional life began in 1981 with her co-editorship of the groundbreaking feminist anthology, This Bridge Called My Back: Writings by Radical Women of Color. The author of several collections of her own writings, including: A Xicana Codex of Changing Consciousness, Loving in The War Years, and Waiting in the Wings: Portrait of a Queer Motherhood, Moraga is the recipient of the United States Artists Rockefeller Fellowship for Literature, the American Studies Association Lifetime Achievement Award, among numerous other honors. As a dramatist, her awards include an NEA, two Fund for New American Plays Awards, and the PEN West Award. In 2017, Moraga’s most recent play, The Mathematics of Love, premiered at Brava Theater Center in San Francisco. For over twenty years, Moraga served as an Artist in Residence in Theater and Performance Studies at Stanford University. In the fall of 2017, she began her tenure as a Professor in the Department of English at the University of California, Santa Barbara, where with her artistic partner, Celia Herrera Rodriguez, she has instituted Las Maestras: Center for Chicana and Indigenous Thought and Art Practice. Her most recent work, Native Country of the Heart, a memoir, will be published by Farrar, Straus and Giroux in 2019. Visit asle.org for more details. ASLE will hold pre-conference workshops (Wednesday, June 26, 9am-1pm) and post-conference workshops (Sunday, June 30, 9am-1pm). Topics and leaders are listed below, click on the title of the workshop to view a description. The cost of workshops is $20, payable during online registration. Because each will be limited to 15 participants, there is only one slot per person allowed and YOU MUST PRE-REGISTER TO RESERVE A SPOT! To pre-register or be added to a waitlist, please contact ASLE at ASLEconference2019@gmail.com and provide the following information: in your email’s subject line, the title of the seminar or workshop you are interested in; in body of email, your name, affiliation, and email address. Pre-registration will open October 15, and will close April 15 (or when full, whichever is earlier). Some preparation in advance of the conference may be required, as noted in the descriptions. Because workshop participants will be listed in the conference program, we encourage (but do not require) you to consider attending in lieu of presenting on a regular conference panel. If you have questions about the content of a workshop not included in the description, you may contact the leaders; all other questions about pre-registration and registration should be directed to Amy McIntyre at ASLEconference2019@gmail.com. Leaders CANNOT accept any pre-registrations directly. The Authors’ Reception is a longstanding highlight of ASLE conferences, where we bring together authors and their audiences to eat, drink, and discuss and purchase books. Attendees who have published a book or books since the last ASLE conference (June 2017) have the opportunity to meet and greet readers, as well as sell and sign copies. If you fit this description and wish to be included in this year’s reception scheduled for the evening of Thursday, June 27, please email your name and contact information, along with the title, publisher, publication date, and ISBN of the book, to ASLEconference2019@gmail.com by May 1, so we can list you in the program. There is currently space for approximately 60 authors to reserve a space on a first come first served basis. Participants or publishers must arrange to bring copies of books to the event (we recommend 5-10 copies). Due to the fact that they may easily be lost, no advance shipments will be accepted by ASLE or the University of California, Davis. The Cultural Crawl began as the Progressive Evening that took place in Moscow, Idaho at ASLE’s 2015 conference. The crawl will be in downtown Davis near UC Davis’s campus. It will feature an exciting circuit of events and exhibitions that aim to expose conference-goers to local establishments and culture, and to encourage them to mingle with Davis’s artistic and intellectual milieu. More information on the schedule of events will be posted here when confirmed. In place of a formal banquet, we are currently planning a fun and casual outdoor “Food Truck Festival” complete with various cuisine and beverage choices. Our vision is to make the event more accessible financially to attendees, as well as enjoy the food truck trend! Field Trips are an ASLE Conference tradition, and to give people a more relaxed opportunity to enjoy them, we have moved the longer trips to the end of the conference (Sunday, June 30) for 2019. However, as not everyone can stay till the end, we are sprinkling some shorter trips in on the other days of the conference as well. A variety of excursions will be available and the tentative options are listed below (with more detailed descriptions to come). Space is limited and available on first-come, first-served basis. Waitlists for full trips will be kept. All off-campus trips include bus transportation. Get your day started with some exercise; we will meet at a designated spot on campus and run a portion of the Davis Greenway. This museum is on campus a short walk from sessions, tour is from 12:30-1:30. If you love insects, this is the place for you! Stebbins Cold Canyon Reserve is set in a steep inland canyon of the California Coast Range, about a half hour bus ride from campus. Extreme topography gives the reserve a mix of habitats, high species diversity, and beautiful views. University of California maintains and researches this land. Full hike loop is about 5 miles (2-2.5 hours), moderate to difficult terrain. Located next to the UC Davis Conference center (5 min. walk). The tour time is 12:30-1:30 and includes the vineyard and other sites, led by faculty from the Viticulture and Food Science department. The Teaching Winery is a working winery and all safety procedures need to be followed. When entering the winery visitors must wear closed-toed shoes. Safety glasses will be issued, if there are winery operations taking place. Please refrain from wearing fragrances when taking a tour. Located about a 10 min. bus ride from campus. Participants will have a guided tour of the garden from 12:30-1:30 with an entomologist. The Haven is a unique outdoor museum where visitors can observe and learn about bees and the plants that support them. Located about a 10 min. bus ride from campus. Run by the UC Davis School of Veterinary Medicine, the Raptor Center is dedicated to the rehabilitation of injured and orphaned birds of prey. Guided tour is from 12-1pm. Approximately a hour’s bus ride from Davis in the beautiful Cache Canyon. The river offers class 2 and 3 rapids with a perfect balance of calm waters and majestic scenery suitable for most experience levels. Arrival and equipment/orientation 9-10am. Put-in approximately 10:00 AM . Sunday Lunch: BBQ after rafting approximately 12-2pm, vegetarian option available. Led by UC Davis professors Robert Thayer and David Robertson, the circumdrive is a 225 mile clockwise tour of twenty-five stations, varying from mere “whistle stops” to hour-long hikes away from the car. These stops aim at a mixture of informative experience, ranging from geography, geological origins, landform, archaeology, native people’s history, flora, fauna, hydrology, popular culture, agriculture, recreation, tourism, and local economic activity. A planned tour of two farms, Good Humus Produce and Yolo Press, followed by a lunch stop (purchase your own lunch) at Putah Creek Cafe and Bakery. About a half hour drive from campus, Stebbins Cold Canyon Reserve is set in a steep inland canyon of the California Coast Range. Extreme topography gives the reserve a mix of habitats, high species diversity, and beautiful views. University of California maintains and researches this land. Full hike loop is about 5 miles (2-2.5 hours), moderate to difficult terrain. The 2019 ASLE Conference Publisher’s Exhibit will be located in the Conference Center at UC Davis, the location of conference registration and many sessions. The exhibit will be open for the duration of the conference (Wednesday-Saturday), and we anticipate approximately 900-1000 participants will attend the conference. Cost is $350 for a full table, and $225 for a half table (each include one representative registration). Additional tables are $125. Additional reps are $100. Advertising in the conference program is also available at the rate of $400 for a full page, $250 for a half page, and $150 for a quarter page ad. Please see the information and reservation sheets below for more details. We hope your press will join us this year!